Spring is officially here! There is nothing better than giving the house a mini update and refresh to welcome the new Spring and Summer season into our homes. By doing some small jobs around the house you can give your home a mini face lift to brighten your interiors, and your mood! Give your home a new lease of life by touching up any scuffs or marks on the walls, or even just a complete fresh coat of paint. You will be surprised what a difference a touch up of paint will do for the room. New paint with give your house that brand new, just moved in feel. Home accessories are a huge way to change the tone of an interior. That means it is time to finally throw away that cushion with the coffee stain on the back. Try and replace any old or fading cushions with something more colourful and fresh for spring. However, you don’t need to go on a rampage and throw away all of your furnishings. Instead, why not box them up and keep them in your loft until the winter season is back? If you are interested in giving your house a complete turn around in accessories, consider also installing a safe loft ladder which will allow you to go up and down with your boxes with ease, and means even your little ones can safely join in with the adventure of entering the loft by taking up the lighter boxes. Consider getting your rugs sent off to be professionally cleaned. 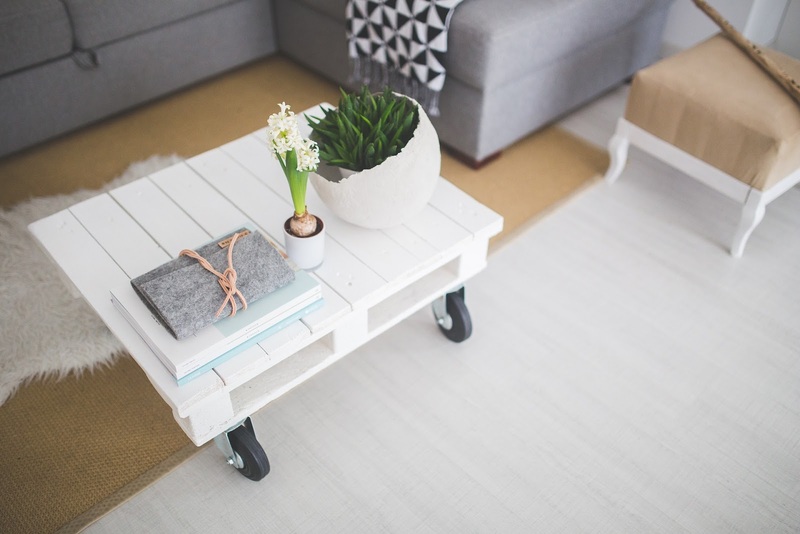 You might actually find that after they have been taken up, you prefer the clean and minimalist effect the wooden floor gives to the room and keep it that way for Spring. Switch your beddings and throws from the winter wool and fur fabrics, for lighter linen and cotton to welcome more light to the bedroom. In the living room, add some colourful accents with new throws on the sofas. If you stick with a soft palette of colours such as pastels, you will effortlessly be able to create an airy, fresh look. Another fantastic way to give a room new character is to swap its art work seasonally. For instance, minimal style prints might lend more fittingly to a Spring room update rather than heavier, darker wooden framed pictures. It might seem simple, but you will be surprised what a huge difference a simple furniture adjustment can make! A change in the furniture arrangement can completely transform how you live in the room and make it more inviting. Not to mention it can improve the Feng Shui! Another great way to encourage good Feng Shui vibes, is to try and clear out all of the clutter and odd objects you might have been accumulating over the year. Spaces for Spring should be bright, tidy and minimal. A great way to breath some fresh air and colour into a room is to bring in some houseplants. There are a variety of house plants you can look into buying to compliment your interiors. If you haven’t got the time to look after plants, look into faux flowers. There are some amazing material flowers and plants which look like the real thing! 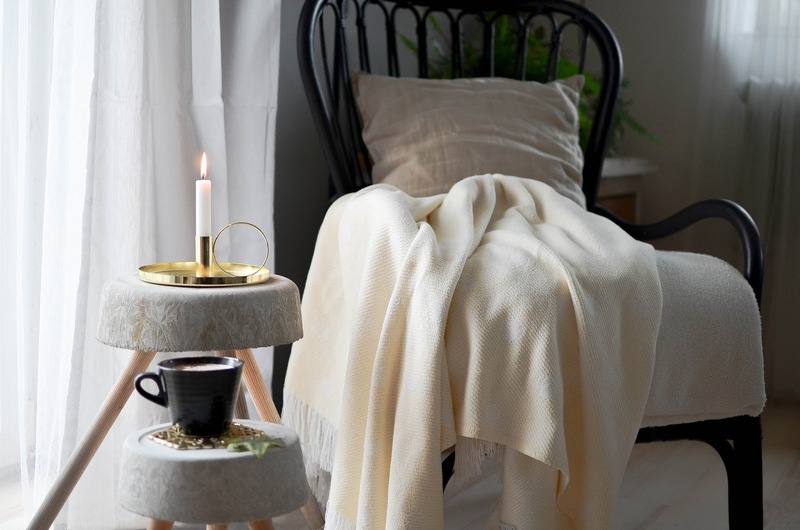 One last great finishing touch to home accessories for spring, is to fill your house with citrus and floral scented candles, which will also score you highly on this seasons all important Hygge trend ratings.